The percentage of delinquent mortgages was down last quarter to its lowest level in almost eight years. According to the Mortgage Bankers Association (MBA), delinquent mortgages for one to four unit residential properties dropped to 5.54 percent, the lowest percentage since the second quarter of 2007. That number is down from 5.68 percent in the previous quarter and 6.11 percent in the same quarter last year. The MBA's delinquency rate includes loans one month or more behind on payment but excludes loans in the process of foreclosure. Loans currently in foreclosure were also down in the quarter, to 2.22 percent, dropping from 2.27 percent the previous quarter and 2.65 percent year over year. This was the lowest percentage of foreclosure inventory since the last quarter of 2007. Seriously delinquent homes, or homes that are at least 90 days past due, fell to 4.24 percent, falling 28 basis points from last quarter and 80 basis points from a year ago. "The latest decline in the share of households suffering mortgage payment problems provides more evidence that the housing market is slowly normalizing," said Ed Stansfield, chief property economist for Capital Economics to Housing Wire. "To the extent that it encourages lenders to ease credit conditions and make more loans, it's also positive news for mortgage market activity." 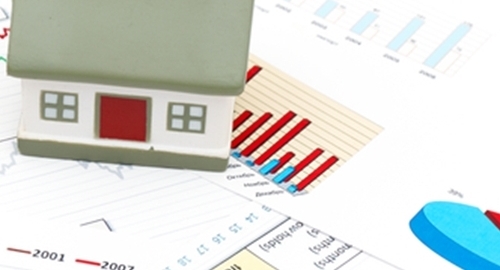 According to the report, the majority of troubled mortgages were legacy loans. Despite a decrease in the category, 73 percent of seriously delinquent loans originated in 2007 or earlier. More recent loans, especially those after 2012, have continuously shown lower delinquency rates. If your company is in need of loan management software to help track and maintain timely payments, be sure to contact Graveco Software today! Browse our website to learn more about the high-quality products that we offer. Copyright © 2005-2019 Graveco Software Inc. All Rights Reserved. Legal Notice.